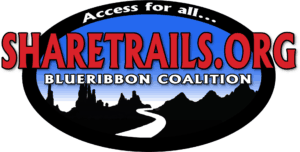 On behalf of the thousands of diverse trail users our 218 collective organizations represent, we urge appropriators to adequately invest in our nation’s trails. Trails provide access to our public lands for hiking, biking, horseback riding, off-highway vehicles, and other motorized and non-motorized recreation. They are also the gateway to nearly every facet of outdoor recreation, including fishing, hunting, wildlife viewing, camping, and more. A failure to maintain and manage our nation’s trails stymies economic growth and access to healthy outdoor recreation. Recent data from the Department of Commerce’s Bureau of Economic Analysis (BEA) calculated that outdoor recreation generated $734 billion in economic activity in 2016, surpassing other sectors such as agriculture, petroleum and coal. Outdoor recreation makes up 2.2% percent of U.S. GDP, supports 4.5 million jobs and is growing faster than the economy as a whole. According to the Outdoor Industry Association, trail centered activities directly generate over $594 billion and nearly 3.5 million jobs. On federally managed land, outdoor recreation contributes more than $64.6 billion to the national economy and supports more than 623,000 jobs annually. The management of our nation’s trails is largely supported by trail organizations and citizen volunteers who leverage government resources to maintain and expand our trails. 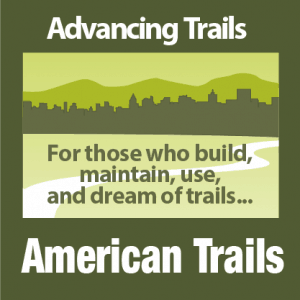 On the National Trails System alone, since 1995, hundreds of thousands of citizen volunteers have contributed more than 19 million hours to build and maintain National Scenic and Historic Trails, and nonprofit trail organizations have contributed more than $200 million toward trail stewardship projects, a total value of $577.4 million. This historical and ongoing public “sweat equity” investment has led to an increased recognition of the importance of adequate federal funding for our public lands and trails to maintain quality visitor experiences. It is our collective belief that Congress must restore the proper appropriated funding levels that have been cut over the decades that our federal land management agencies so desperately need. We maintain that current levels are inadequate but recognize the political realities of this challenge. Consequently, we strive to temper the recommendations to ensure at the very least current funding is maintained and not further reduced. However, we believe that restored and adequate funding is not only desperately needed but fully warranted. National Forest trails benefit everyone and receive increasing public use each year. Collectively, the National Forests provide 157,000 miles of trails for activities ranging from hiking, biking, horseback riding, off-highway vehicle usage, groomed winter trails for cross-country skiing and snowmobiling, and access points for “river trails.” Yet this trail system is increasingly stressed and maintenance cannot keep pace with the growing demand due to inadequate funding. The lack of maintenance threatens public access to National Forests and could endanger the public safety if funding does not keep pace with public visitation. Justification: A dedicated line item in the Forest Service budget helps to ensure that Congress’ desire to help clear the maintenance backlog is met, and funds are not used for other purposes. Fund Capital Improvement and Maintenance, Trails budget at $100M to address trail maintenance backlog and implementation of the National Forest System Trail Stewardship Act. Justification: In 2016, Congress passed what was termed “the most bipartisan bill in Congress” -- the National Forest System Trails Stewardship Act -- to address its trail maintenance backlog, including doubling the output by volunteers and partners. But the USFS has yet to fully implement the Act due, in part, to a lack of resources and declining levels of staffing which hampers its ability to negotiate and oversee volunteer and cost-share agreements. The agency recently launched a 10-Year Sustainable Trails Stewardship Challenge and modest funding is needed to comprehensively address the well-documented trail maintenance backlog (GAO-13-618). Justification: In FY19, as has been past practice for two decades, the USFS did not allocate specific Capital Improvement & Maintenance (CMTL) Trail funds for each of the six national scenic and historic trails that it administers, as well as portions of the 17 other trails that it manages within the national forests for FY 2019. Justification: The National Forests and Grasslands provide a great diversity of outdoor recreational opportunities, connecting the American public with nature in an unmatched variety of settings and activities. Justification: Legacy Roads & Trails funding is significantly impactful, improving more than 11,000 miles of trails and 5,000 miles of roads. Dedicated funding is necessary for continuing the success of this program. Legacy Roads and Trails contributes funding to support projects that include the maintenance and treatments of roads that also go a long way towards improving our watershed health. National Parks and the world-class experiences their 18,844 miles of trails provide are one of the most unifying forces in America. Well-maintained trails improve the quality of visitor experiences and enhance visitor safety. Yet the agency’s deferred maintenance has grown significantly under several Administrations and the associated reductions in adequate appropriations. Justification: The National Park Service has administrative responsibility for 23 National Scenic and Historic Trails established by Congress. Adequate funding is essential for keeping these popular trails accessible to the public. Justification: The RTCA program brings the expertise of over a century of land management to the greater recreation community. When a community asks for assistance with a project, National Park Service staff provide free critical tools for success, on-location facilitation, and planning expertise, which draw from project experiences across the country and adapt best practices to a community's specific needs. Justification: Challenge Cost share leverages private donations with public funding to maximize trail maintenance resources. This Program is intended to support specific National Park Service mission-related projects that align with goals of local project partners. These partnerships promote improved access and opportunities for outdoor recreation, environmental stewardship, and education in our National Parks, National Trails and/or Wild and Scenic Rivers. Justification: Volunteers in Parks leverages private donation with public funding to maximize trail maintenance resources. Justification: The Youth Partnership Program in part funds the Public Land Corps program, which provides education and work opportunities for men and women aged 16-30. The NPS utilizes non-profit youth serving organizations to perform critical natural and cultural resource conservation projects at NPS sites. Without funding, projects completed by youth crews through these programs would not be accomplished. These projects range from masonry apprenticeships on historic structures to Tribal land improvements; to engaging other youth through coordination of culturally-based workshops and outdoor recreation clubs. The BLM manages 13,468 miles of trails over 245 million surface acres in the United States—more than any other federal land management agency. Most of the country’s BLM-managed public land is located in 12 Western States, including Alaska, and contains a diversity of landscapes that often provide the public less structured but nonetheless diverse and superlative recreational opportunities. BLM recreation resources and visitor services support strong local economies. More than 120 urban centers and thousands of rural towns are located within 25 miles of BLM lands. Justification: National Conservation Lands funds enhance recreational access, conserve the Nation’s heritage and manage these nationally recognized resources. Justification: Recreation Resources Management funding preserves and provides public access to and allows for the enjoyment of the 16 National Scenic and Historic trails across BLM managed land. Justification: Challenge Cost Share funds leverage private donation for public benefit, to maximize funding for trail maintenance and construction. Recreation projects build trails, obliterate road and trails, and enhance visitor recreation experiences on public lands. Projects improve and stabilize Riparian areas and washed out bridges or walkways. Overall, projects also include support for environmental education, University research, and interactive youth initiatives based on the programs within the BLM. Located in every U.S. state and territory, and within an hour’s drive of nearly every major U.S. city, National Wildlife Refuges provide incredible opportunities for outdoor recreation, including hiking, hunting, fishing, birding, boating and nature photography across 2,100 miles of trails. More than 37,000 jobs are reliant on refuges. Justification: Refuge Visitor Services provides funding for trail maintenance across FWS managed land. Congress recently showed overwhelming bipartisan support for the Land and Water Conservation Fund (LWCF) when it permanently reauthorized the program in S. 47, the John D. Dingell, Jr. Conservation, Management, and Recreation Act. Building upon this support, the committee must ensure that full funding of the program is provided at the $900 million level. Justification: The LWCF has funded nearly 1,000 trail projects across the country and countless other recreation and conservation projects in thousands of communities in every state. It’s time for Congress to fulfill its promise to provide full funding to the LWCF. Justification: Many of the projects offer a unique opportunity to acquire lands that will help protect trails or close existing gaps between sections of these Congressionally-designated trails. Once land is acquired, volunteers and private funding stand ready to build/maintain the trails. This funding will protect 41 tracts along six national scenic and six national historic trails. With the establishment of the 21st Century Conservation Service Corps (21CSC) as part of the Natural Resources Management Act of 2019, Congress recognized the need to address modern conservation, recreation, forestry, and infrastructure projects through cost-effective partnerships with Corps. 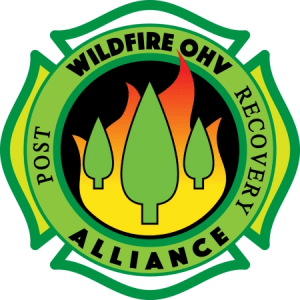 We encourage you to continue this focus and make the additional investments necessary to carry its intent forward and put more young adults and recent veterans to work on the thousands of unmet needs on our public lands. East Coast Enduro Association, Inc.
Friends of the Keystone Arches, Inc.
Maine Trail Riders Association, Inc.
Red Rock Motorsports Club, Inc.
South Jersey Enduro Riders, Inc.
South Penn Enduro Riders Inc.
Sugar Land Parks and Recreation Dept. Bureau of Economic Analysis, Outdoor Recreation, https://www.bea.gov/data/special-topics/outdoor-recreation (last visited March 25, 2019). OUTDOOR INDUSTRY ASSOCIATION, OUTDOOR RECREATION ECONOMY 18 (2017), available at https://outdoorindustry.org/wp-content/uploads/2017/04/OIA_RecEconomy_FINAL_Single.pdf. Trail centered activities generated $594,311,835,880 from including retail spending, salaries, and federal and state taxes. Id. Trail centered activities create 3,476,845 jobs. OUTDOOR INDUSTRY ASSOCIATION, OUTDOOR RECREATION ECONOMY 15 (2017), available at https://outdoorindustry.org/wp-content/uploads/2017/04/OIA_RecEconomy_FINAL_Single.pdf; “Forest Service Makes it Easier for Visitors to Enjoy National Forests and Grasslands.” U.S. Forest Service, https://www.fs.fed.us/news/releases/forest-service-makes-it-easier-visitors-enjoy-national-forests-and-grasslands. Partnership for the National Trails System, Contributions Sustaining the National Scenic and Historic Trails (2018), http://pnts.org/new/partnership-for-the-national-trails-system-gold-sheet-of-volunteer-contributions-in-2018/.